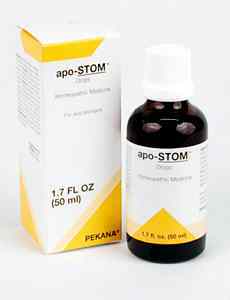 apo-STOM - Supportive remedy for Irritation of gastrointestinal tract. Supports afflictions of the gastrointestinal tract and regulates stomach function, including proper acid regulation and stomach secretion. This homeopathic remedy also helps eliminate the underlying causes of stomach overacidity, gastritis, gastroenteritis, stomach pressure and cramps and burning sensations. In addition, it supports Leaky Gut syndrome, a condition that can cause distant symptoms. For example, acute conditions such as rhinitis and sinusitis can often involve gastro-intestinal tract dysfunction, and cannot be properly addressed without addressing the underlying cause and systemic intoxication. Harmonizes the functions of multiple-remedy combinations, making them work together better. Combines well with everything, if appropriate to use. ¼ to ½ tsp per dose, taken 2 or 3 times per day. This remedy is always combined with other remedies, so the duration of use depends on the context of the protocol in which it is included. Antimon crudum 8X treats symptoms such as gastritis, intestinal spasms, loss of appetite and craving for sour foods that are not well-tolerated. It also reduces liver and spleen swelling that may accompany a dysfunctional stomach. Emotional symptoms that play a role in stomach problems, such as fear and lack of confidence in the future, are also addressed by this herb. Belladona 4X is effective for restoring the health of damaged mucous membranes. It is also indicated for treating gastroenteritis, hyperemesis, cramps and hypersensitivity, especially to noise. In addition, this plant works to resolve acute stomach and intestinal catarrh, gallbladder colic and disruption of stomach secretions. Colchicum autumnale 6X, a proven remedy for rheumatic joint conditions and gout, is also an excellent choice for treatment of gastritis, hyperemesis, burning sensation and gastroenteritis. It alleviates nausea and vomiting caused by exposure to strong odors from certain foods. In addition, the heart and circulatory system receive support. Colocynthis 4X specifically treats colic, as well as spasms and pains that emanate from the stomach, gallbladder, intestines and urethra. It also relieves stomach-related symptoms, such as a continued bitter taste in the mouth, frequent regurgitation, burping, bloating, flatulence, irritability and excitability. Natrium phosphoricum 4X specifically addresses afflictions of the gastrointestinal tract, including diarrhea resulting from hyperacidity. It treats acid eructation and heartburn while supporting regulation of parietal cell activity. Nux vomica 4X helps treat stomach irritation and regulates peristalsis. It also helps eliminate chronic gastritis -- often accompanied by chronic liver and pancreatic dysfunction -- including symptoms such as a coated tongue, nausea with vomiting, a bitter taste in the mouth and constipation. Robinia pseudacacia 6X treats stomach overacidity. In addition, it eliminates digestive tract catarrh and accompanying symptoms that may include colic and diarrhea. The circulatory system is also stabilized by this medication. Millefolium 1X is a bitter substance that supports digestive tract function and regulation, heals mucosal bleeding and relieves cramps. This herb seldom receives the recognition it deserves, but has been used successfully to treat venous blockages in the lower abdomen, gallbladder dysfunction and gastritis. INDICATIONS: For nausea, vomiting including hyperemesis, digestive disturbances gastritis, enteritis and gastro-enteritis. ADEL 5 (apo-STOM) drops detoxify the stomach and intestinal tissues. This medication is indicated for temporary relief symptoms that include overacidity of the stomach, gastritis, stomach pressure, burning sensations, feeling of fullness and nervous sensations. 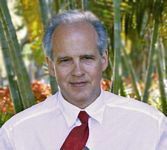 The stomach is considered extremely susceptible to psychosomatic stimuli, as well as mental or emotional stress that can result in functional impairment. This dysfunction must be treated synergystically, which is the reason for the unique combination of ingredients found in ADEL 5 (apo-STOM) drops, including components that address overacidity by regulating the parietal cells.